Your kitchen is the heart of the home, and one of the smartest investments you can make. Next Level Remodeling understands this, and with years of kitchen designing under our belts, we know what works and what looks good. Our goal is to provide you with an award winning design that is functional, unique, and reflects your individual taste/lifestyle. As homeowners, we can get so used to what we have, it often takes a skilled designer to draw out the potentials of this space. Sometimes, a simple reconfiguration of the existing space is all it takes to make the mundane spectacular. Call us now to see what your kitchen can be! A kitchen remodel can change the way you live and enjoy your home. Allow Us To Be Your Kitchen Remodeling Contractor! to add value to your home. 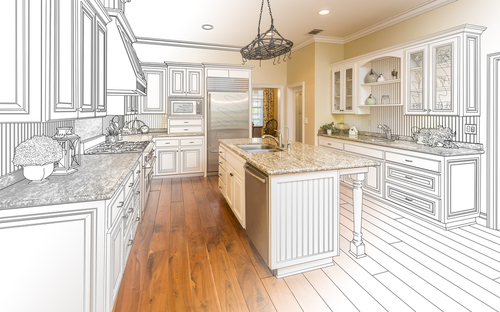 The best projects provide both, and kitchen remodels have the benefit of delivering on both of these components. Next Level Remodeling is a local South Jersey kitchen remodeling contractor with years of experience and excellent homeowner ratings & reviews. We can work with you to inspire your visions and ideas to transform your kitchen. Our kitchen specialists can help and they’re close by, so call us now today to schedule you’re free in home consultation. View our Kitchen Photo Gallery for new ideas and some great before and after photos of our kitchen remodeling. See why we are the right choice for South Jersey area homeowners! View our the Kitchen Remodeling projects recently completed by Next Level Remodeling in the South Jersey area.